IT CAN BE DONE, BY GOSH! 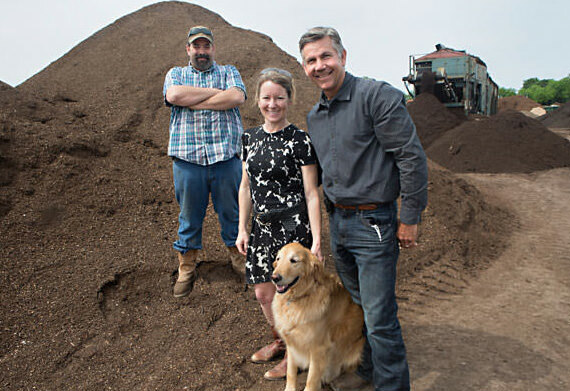 From selling horse manure out of a wagon to making the best compost and soil mixes in Central Texas, Organics “By Gosh” has always taken things that others threw away and turned them into great products that make our environment better than it was in the first place. Grandpa Gosh used to say, “It can be done, by gosh!” The Gosh family motto stuck with our owner, Phil Gosh, his entire life. It was this attitude that gave Phil’s father, Scott, the idea to use his wagon to pick up and sell horse manure to farms in the area. And so the Gosh family business in natural fertilizer began in 1936, delivering manure to local customers in a little red wagon. Horse owners breathed a sigh of relief at the thought of someone else doing this smelly job. Farmers were thrilled at the prospect of this rich material producing a more bountiful harvest. 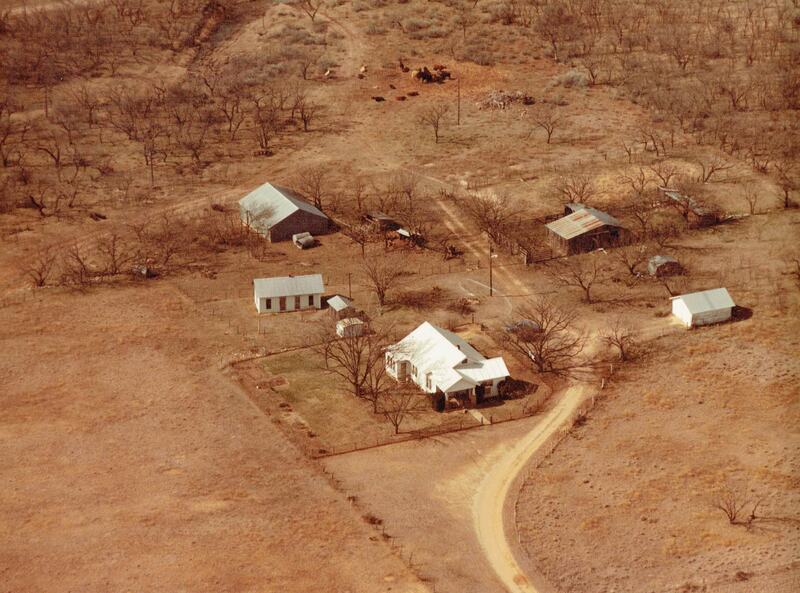 Meanwhile, Phil’s mother, Joyce, was growing up on the Hermann-Spill Farm in Winters, Texas, where they ranched and farmed using manure-based fertilizer. After they got married Phil’s parents combined their talents and resources to deliver valuable products for lawns and gardens. In 1970, Scott thought it was time for Phil and his brother to start a business of their own. Phil was only 10 at the time, but that didn’t stop him or his brother from packaging small bags of potting soil, peat moss, decorative stone and yes, manure, to sell to his father’s nursery customers. They did so well that they acquired a warehouse in Houston the very next year and moved the business out of the garage. 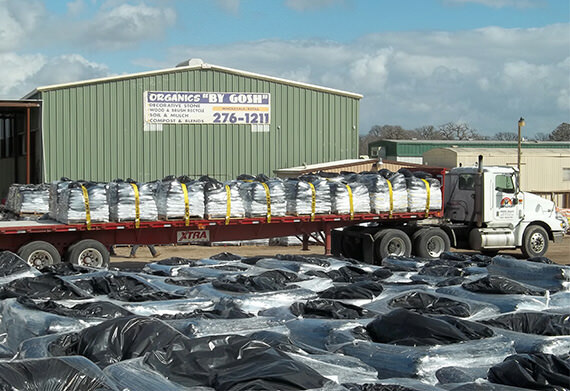 At this point they started combining soil with manufactured compost together in larger bags, calling it “Rich Mix.” Compost products were rare at that time, but customers kept coming back for “that stuff” that seemed to need less water and made their plants healthier. Phil never planned to take over the family business so the money he made selling Rich Mix helped him pursue a college degree. After a few years in college, Phil began managing Happy Meadows Nurseries to help his dad recover from a series of financial misfortunes. He ran multiple nursery stores, overseeing 100 employees while still finding time to finish his degree. In 10 years, his dad was back on his feet and they introduced “Triple Power Compost” along with the “Beauty Grows” and “Texas Friendly” lines of soil and compost. In 1995 Phil took over the family business. Using Grandpa Gosh’s motto to unite all their products under one name, Organics “By Gosh” was born. In 1998 a fire destroyed everything, but Organics “By Gosh” rebuilt without borrowing money or missing an order. We bagged products in an open pasture. We converted tools that had been thrown out by others into useful components of their factory. “It can be done, by gosh!” echoed through our east Austin property. The Organics “By Gosh” reconstructed warehouse and distribution center has bustled with activity everyday since the 1998 fire. 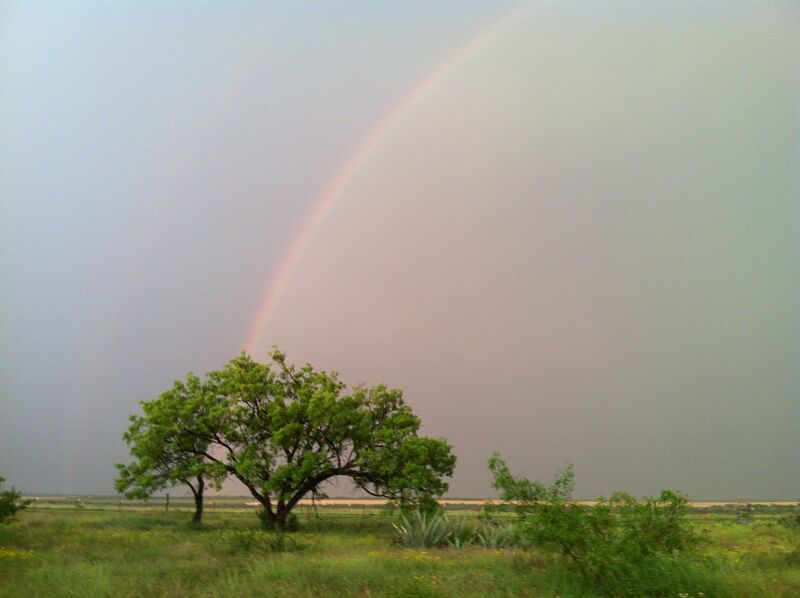 We’ve helped all of Central Texas develop guidelines for sustainable soil development. Organics “By Gosh” has become a team of compost, soil and recycling enthusiasts leading the way into a promising future. With our organics recycling program, continual commitment to compost made the smart way, and an emphasis on giving back to the community, we have plans to change the way people think about the ground they walk on. 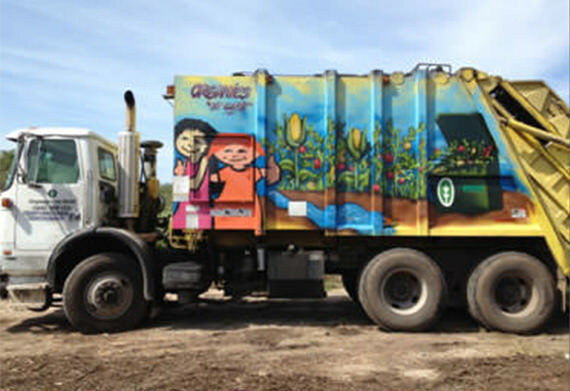 Here everyday, trucks roll in with organic material that people throw away and roll out with soil and compost that rejuvenates the Central Texas landscape. Organics “By Gosh” takes material that others see as waste, adding love, hard work, and creativity to turn them into soil and compost resources that make the earth a better place to live. That’s not just a fairy tale or the story of a son’s dedication to his father. It’s treating people and our environment the right way. And that’s something that’s worth being done, “by gosh”!